First, you find a flat place to build the snowman. Then, you make a big ball by rolling it in the snow until it gets big. Next, you make two more balls. One is little and the other is big. Then, you make the snowman’s face with rocks and get sticks for the arms. Finally, you get the hat and scarf and put them on the head and neck. Then, the snowman is finished. First, I have to make three snowballs and get sticks for the arms. Then, I put the three snowballs in a stack. 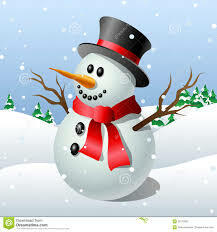 Next, I grab a hat and a scarf and put them on the snowman. Then, I get the blueberries and put them on the second snowball for the buttons. Finally, I put on the carrot for the nose. Now it looks like a snowman. Nida, you did a great job explaining the steps for building a snowman. Jared, I love the blueberries for the buttons. That is a great description!